Launching and running a new venture can be daunting as there are dozens of aspects a business owner should take care of. But when it comes to ecommerce, the technical side of a project can be well considered the most important one. In case you don’t have an internal IT department, outsourcing your web development to a third-party service provider is the most practical and cost-effective option. There are thousands of service providers out there who boast in-depth domain expertise and great technology skills. They claim to have hands-on expertise in ecommerce software development, be in the know of the latest trends and adhere to the industry’s best practices and standards. Selecting just one company out of so many is a hard task you have to take seriously. The choice you make might decide on the success or failure of your ecommerce project. 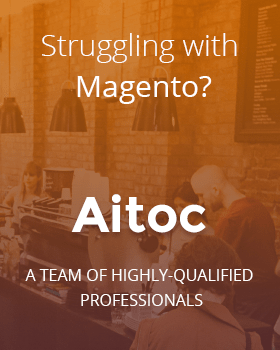 With over 15 years of experience with Magento, Aitoc team has gained an in-depth understanding of the platform and its requirements. 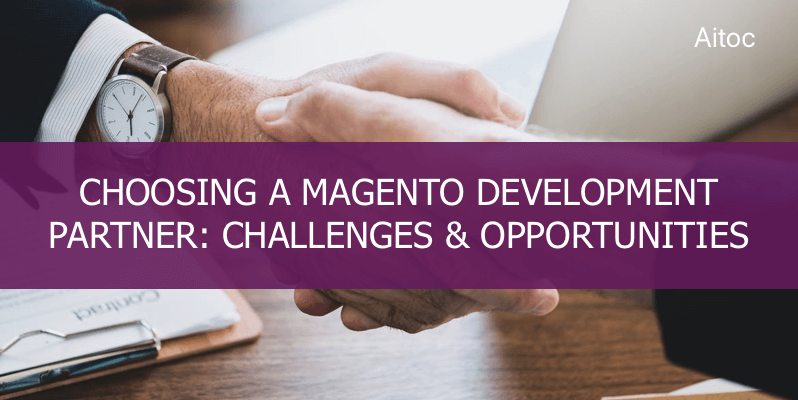 In this post, we share some points we see important to keep in mind when choosing a Magento development service provider for your ecommerce project. Continue reading to discover them all! A portfolio is the very first thing you should check out when starting your Magento partner research. Projects implemented by a firm is the best indicator of their expertise and experience in the field. In most cases, brief project descriptions can be found in relevant sections on a company’s website. Sometimes vendors publish the full project case studies too. You can have a look at those to get a general idea of company’s capabilities. However, it is crucial that a future development partner has experience in delivering projects similar to yours. Outline the key points you’re interested in. It can be either project size and budget or an average amount of products in the catalog. 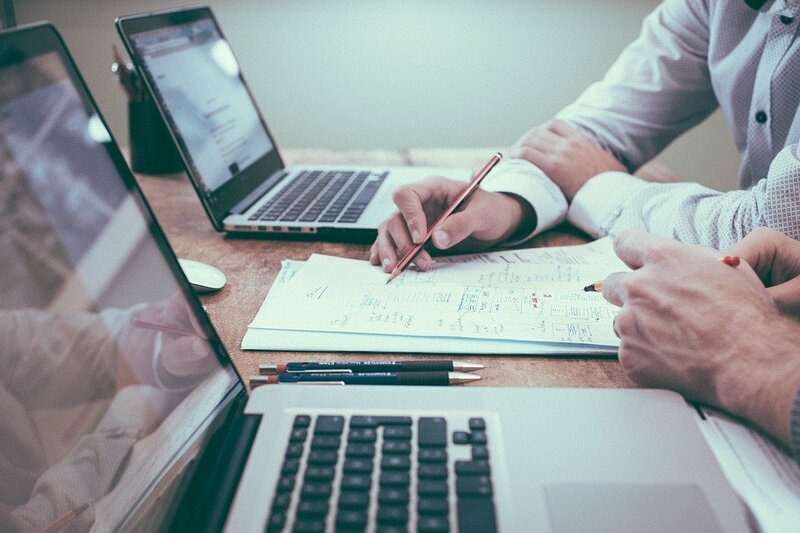 If a company has experience in executing projects related to your business, there’s a higher chance they already know how to approach your project in the best way. As a rule, a more detailed information is available upon request, so do not hesitate to contact service providers directly. They will be glad to share this information with a potential lead. Let’s imagine that the company you’ve preliminary chosen has all the required technology expertise and experience. Now you should make sure they are actually nice to work with. The easiest way to do that is to explore what previous customers have to say about the vendor. Turn to specialized independent platforms like Clutch to find authentic references from real clients. Besides, you can connect with them via professional social networks or forums, for instance, Linkedin, and ask their opinion about the service provider directly. Collect the feedback from a few people and weight up the pros and cons to decide whether the potential vendor aligns with your needs. Communication is one of the main concerns for the businesses that deal with outsourcing for the first time. The vendor’s ability to support seamless and transparent communication throughout the project lifecycle is vital to ensure successful project delivery. Time zone differences and language barriers are the two key factors to consider here. When you hire a vendor working overseas, communication gaps are inevitable since there can be up to 12 hours of difference between you and the team. Thus, it is important for your partner to handle this issue effectively. They can assign a single point-of-contact to be available during your business hours and speak fluently your native language to address project-related issues in a timely manner. Don’t forget to clarify this point when you carry out the screening of potential service providers. Is the service provider able to scale resources to meet my project scope? That’s the question many ecommerce business owners overlook when choosing a development partner for a new project. A Magento service provider should be flexible enough to increase (or decrease) the team size in accordance with the project needs. 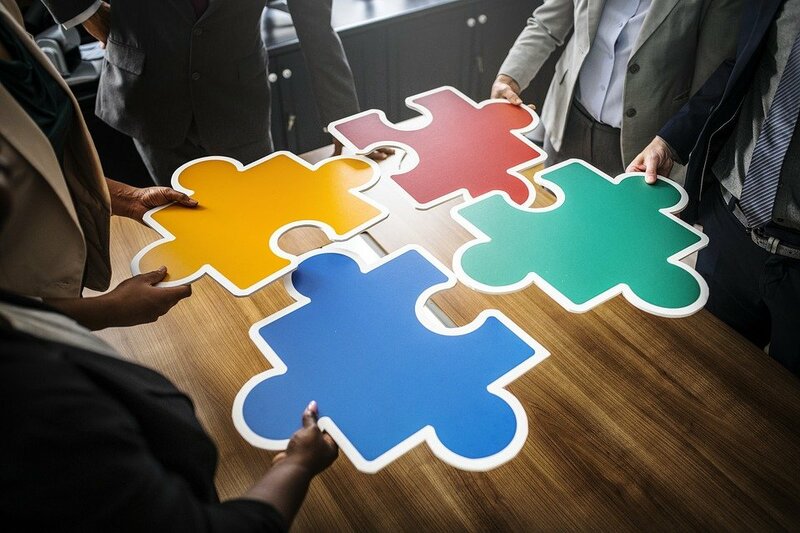 If the engagement model is strictly fixed, the amount of resources involved will remain the same throughout the entire project. Should you need extra developers to carry out some tasks or, on the contrary, eliminate one or two of team members, you won’t be able to do that under such conditions. This will definitely lead to ineffective resource management and so additional costs. The Agile development framework complemented by Time and Material pricing model would be the best option to start your new collaboration from. No question that the project budget is the main concern for the majority of businesses, including online retailers. Every merchant wants the project cost to fall within the pre-determined budget cap or, what’s even better, be lower than that. However, when talking about ecommerce development services, you can’t compromise on the final solution’s quality for low costs. A super expensive paycheck is not an option either, but you should understand that a high-quality online store won’t be cheap to build. In view of this, it is important to find a reliable service provider that will meet your expectations at optimized costs. Bear in mind, that some companies may have hidden costs and additional fees, so pay attention to these when negotiating and contracting. Another crucial aspect is who owns the source code and IP rights upon the project completion. Some service providers may leave the full rights to the custom-built modules and system parts they create. This means, you will be charged additional license or usage fees for a product that should have been yours. Since you expect the intellectual property to belong solely to you (that’s fair – the project was implemented based on your own idea), this can become a disappointing surprise. When your Magento store is up and running, it is highly important to ensure its continuous maintenance and support. Why? Even if your development team has done everything impeccably, no one can prevent force majeure. Thus, your outsourcing partner should be there for you if things go wrong. Look through the list of Magento support services they provide. Do they offer updates and troubleshooting? Do they have a ticketing system to submit your issues? Is there a dedicated customer support team available during business hours (or 24/7, should need be)? Determine your requirements thoroughly and verify they match the capabilities of your potential partner. This way you will contribute to the seamless and fault-free operation of your store in the future. The development service provider you choose can make it or break it when it comes to launching a new Magento project. We hope that our checklist will help you make the right choice for your store. At Aitoc, we pay attention to the tiniest details to deliver Magento solutions that meet and exceed our clients’ expectations. Check out the full range of our Magento development services and have a look at our Magento 2 extensions, if you’re looking to get the best value for money for your ecommerce business.